With the weather getting cooler, I&apos;ve been on the hunt for great breakfast ideas that involve using the oven to warm up my kids and their bellies - not to mention recipes that warm up my kitchen. 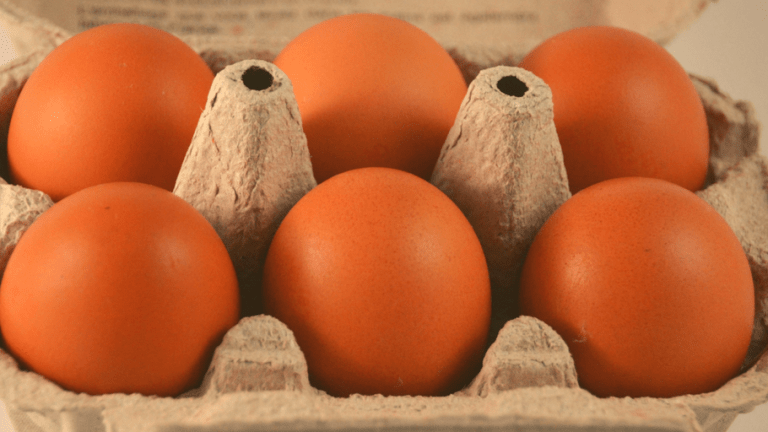 I found this easy and fun breakfast recipe that my kids loved. Along with working on amazing recipes and being incredibly brilliant (she has a PhD! ), she&apos;s also kind enough to allow me to borrow her amazing breakfast creation to share here on Momtrends. 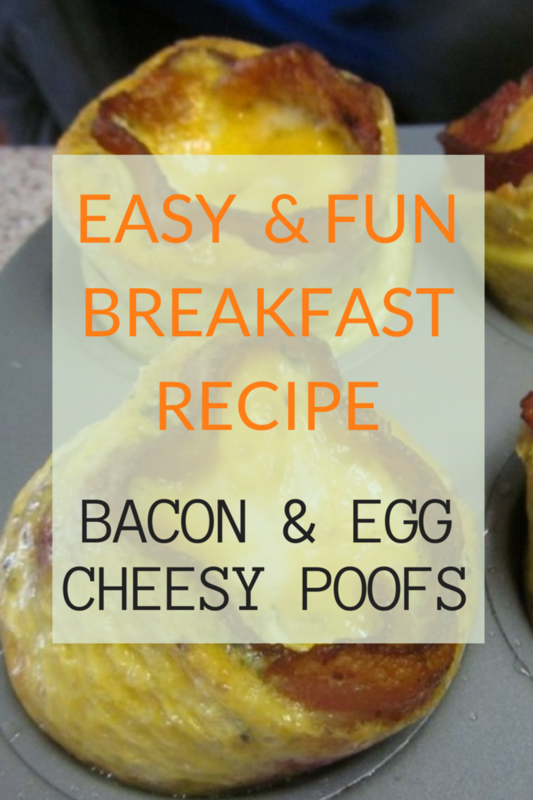 These bacon and egg cheesy poofs are a perfect idea for a quick school day breakfast, baking up in just 15 minutes, and they can also be easily varied with assorted cheeses, herbs, etc, to create different flavors. I also suggest that you check out some of her other tasty creations, I am definitely making her soft pretzel recipe! Preheat oven to 400F. Spray the cups of a muffin tin with nonstick cooking spray. Set aside. In a large skillet over medium heat, cook the bacon until it begins to crisp but is not all the way done. Drain on paper towels and allow to cool slightly. 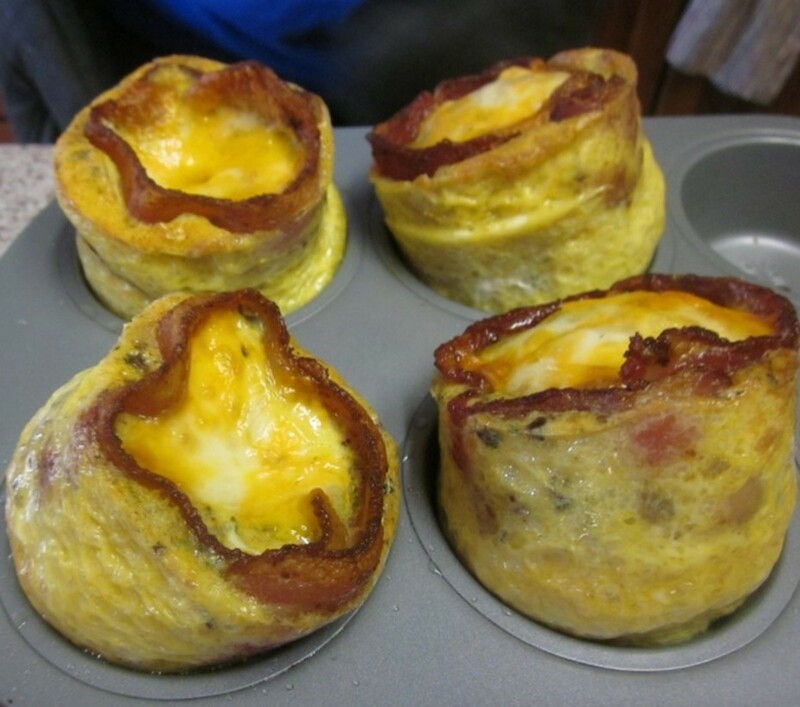 Wrap one slice of bacon around the perimeter of each cup of the muffin tin. If the bacon is too long, cut to fit and place the cut pieces in the bottom of the cups. Remove all but one tablespoon of bacon fat from the skillet. Add the shallot and mushrooms and saute until softened, about 3-5 minutes. Drain on a paper towel if needed. In a bowl, beat the eggs, paprika, garlic salt, and herbs until well combined. Add the shallot and mushroom mixture and stir well. Ladle the egg mixture into each cup, making sure to fill evenly. Top with the cheese. Bake the puffs for 15 minutes, covering the tops with aluminum foil for the last five minutes of cooking. Lift the puffs out of the pan with a small spatula. Do you have a great recipe or food post to share? Pin it and Try it!